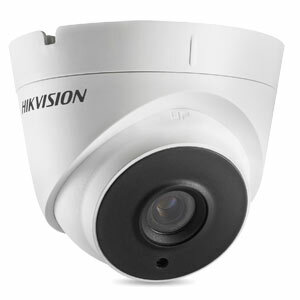 The Hikvision DS-2CE56H0T-IT3E is a premium turret CCTV camera by Hikvision. 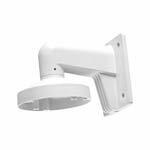 With a huge number of features packed into a small, discreet design this camera is perfect for a home or small business CCTV system. 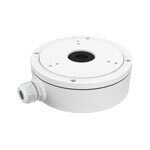 As well as providing 5MP, high resolution images the DS-2CE56H0T-IT3E above 1080p at 20fps and also has digital noise reduction, EXIR and 3 axis adjustment. 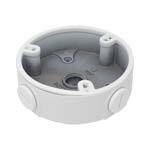 The housing is IP67 rated meaning it is weatherproof and so is ideal for outdoor use as well as indoor security systems. Hikvision’s EXIR technology is an industry leading infrared array technology providing illumination in low or zero light conditions meaning that Hikvision’s cameras are some of the best on the market when it comes to night-time surveillance.